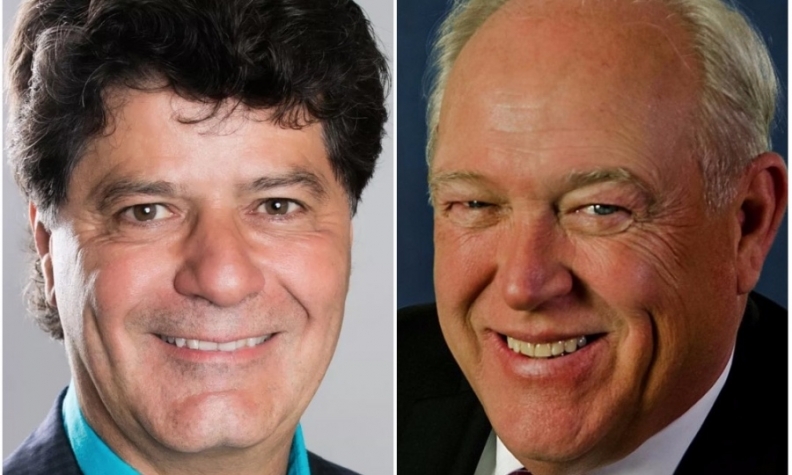 Unifor President Jerry Dias, left, and UAW President Dennis Williams, right, might have issued their statement “partly for political reasons," says professor Ian Lee. Canadian labour union Unifor and the United Auto Workers (UAW) won’t likely get what they want from a renegotiated North American Free Trade Agreement (NAFTA), says an expert in the field of international trade. “Made in North America” rules. Ian Lee, an associate professor at the Sprott School of Business at Carleton University in Ottawa, said only one of those four points can be addressed through a trade agreement. Currently, 62.5 per cent of the makeup of vehicles and 60 per cent of automotive parts must be made within the NAFTA region to receive duty-free status in the trio of countries. United States Commerce Secretary Wilbur Ross has called those rules obsolete and outdated and said they will be a major focus during renegotiations. He, the United States and the unions want that percentage to be increased in hopes that it will create more manufacturing jobs in North America. What NAFTA can’t address are wages, benefits and an automotive trade imbalance between the United States and Mexico or Canada and Mexico, Lee said. Benefits are also something workers negotiate through bargaining with manufacturers, not through trade deals, Lee said. Mercantilism is an economic theory that suggests there is only a fixed amount of wealth or assets in the world and that a country’s economic prosperity depends on its ability to accumulate wealth by exporting more than it imports. Not every sector of the economy can have balanced trade. Countries will trade more of some products and less of others, Lee said. “The [union] leaders are every bit politicians in their own right as a politician who runs for Congress or Parliament. The leadership of these unions must be elected by members of the union. They have voters and they have to appeal to voters,” he said.